We had a few children turning 12 in the month that we became Activity day leaders. 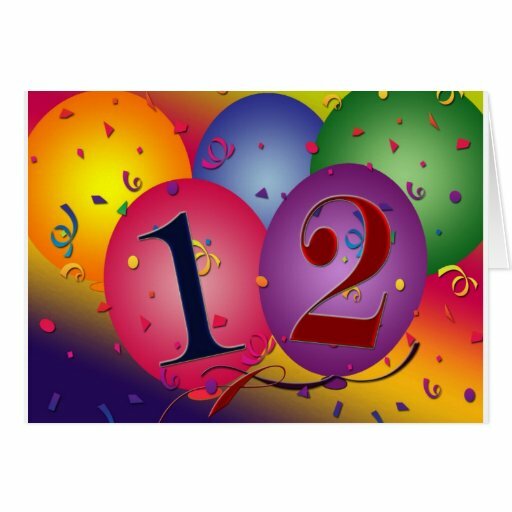 We decided to throw a fun "its great to be 12" party including Party games that would help revise some of the things we learn up to the age of 12. It was fun night for all. I love to see the temple (Version of Pin the tale on the donkey) : Large temple Picture - Pin in a picture of a child ----- aim to pin the child to the door of the temple -" Im going there someday"
AOF Balloon and Picture Match: Balloons Placed on wall numbered 1-13. Child takes turn at using slappy hand to "grab" a balloon... they then have to match the balloon to the correct picture on the other wall of the matching AOF - We used some LDS clipart pictures for this. (some were pretty tricky) If the child could not match in time limit, the other team had a turn.... whoever matched first got the point. We handed out goody bags and hooters, decorated with streamers and had a lovely cake decorated for our 12 year olds. I am a member of the Church of Jesus Christ of Latterday Saints. I am a SAHM to 5 beautiful children. I am currently serving as the Activity day leader in my ward. I love my calling as primary activity days leader. We have such a wonderful time with the children learning about Heavenly Father and helping them progress through their Faith In God booklets. Here in New Zealand we do not run the scout programme through the church so our boys and girls are all together for activities. I have found it hard to find websites with activities for both boys and girls so thought I would add our ideas here for others who are searching for ideas.